Finding your passion can seem like an endless quest. In 2012, the United Nations released the first World Happiness Report, which ranks countries by the happiness of their citizens, and in 2015 the U.S. came in 15th. We’d like to believe that being happy has something to do with finding purpose in life. So (here it comes—the question of questions), what is it that gives you purpose? What, deep down, is it that makes your life really worth living? Marian Cannon Schlessinger, author, activist, painter and centenarian knows what makes her happy: “Early on I decided being a painter was what I wanted to be but I wanted to be a lot of other things too. I wanted to write. I wanted to play tennis. I wanted to have a lot of friends. I wanted to have a lot of beaus. I think I’ve been very lucky. But I think that I’ve made some of it for myself. I never gave up. I wanted it all, in other words, and I think I really almost got it all too.” She’s had over 100 years to figure out the answer. Check out these 15 tips to help you figure out how to be happy and get started on finding your passion. Identify what you don’t want. When it comes to finding your passion, it’s best to start with a process of elimination. Make a list of what makes you unhappy. Sitting at a desk job, a boyfriend who takes you for granted, bad habits that make you feel unwell. Now figure out how you can change or remove those unhappy elements from your life. Don’t rein in your imagination. Dream what it is that makes you happy and fulfilled and set goals that get you there. Will you become an astronaut? Probably not. Can you develop and interest in space travel? Absolutely. Think about how you want people to remember you. If you could hear your own eulogy, what would it sound like? Would you be remembered as a good friend, a great partner, a philanthropist? Strive to leave only good feelings behind you. Devote some time to activities that focus on others. 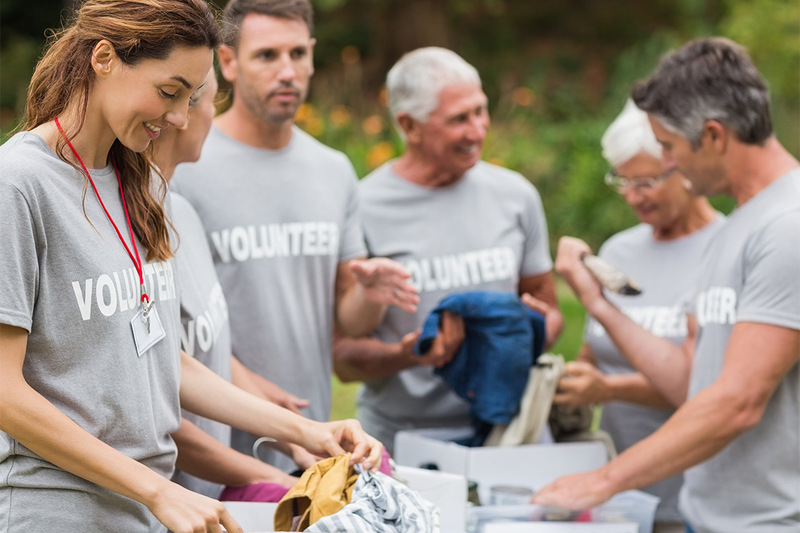 Compassion and charity are great ways to kick-start the process of finding your passion. Pledge to give some of your time to those in need. Volunteer at a food bank, tutor kids, pick up litter at a park or drive seniors to doctor appointments. It’s interesting how focusing on others can actually help you understand how to be happy yourself. It doesn’t matter where you meditate — it just matters that you do. Tapping into the stillness that comes with meditation allows you to gently go deeper into your own mind and soul, where you may “hear”” hints or “see” glimpses of what it is you truly want from life. There’s stress in everyone’s life. Reduce yours by focusing on calm. Set aside a few minutes of your day, breathe deeply and relax one body part at a time. Focus on things that make you happy, which will free you up to work on finding purpose in life. What works for you, what makes you happy is not going to have the same meaning for the next guy. The only person you have to make happy is you; you don’t need to worry about what makes others happy. Figure out what you do only because you feel obligated. We all do stuff out of obligation, from laughing at the boss’ jokes to attending a birthday party for that aunt you don’t really like. You’ll never free yourself from obligations 100% but you can practice saying no and excusing yourself from the worst of them. Try something new. Spend your time doing something different. If you don’t like it, cross it off the list and try another opportunity. It’s easy to get comfortable doing the same thing over and over, but you only learn what you like and don’t like by trying something new. Take an art appreciation class and visit a new museum. Try your hand at sketching or painting. Pick up a camera and develop your eye as a photographer. Try a new author or listen to music you haven’t tried before. Developing new interests keeps you young, another plus. Being honest with yourself is hard. It’s also the best way to figure out how to be happy. Routine is comfortable, it’s something we can do without thinking. It’s familiar and brings us a sense of order. It’s also boring. Try something new, meet new people, learn to make pasta from scratch. Change is inevitable, be part of it. What is it that you do that makes you proud? Are you a leader, do you write well or paint well? Can you whip up a batch of cookies from scratch while texting and watching TV? Is your strength a sense of self-worth or your willingness to always lend a hand? Everyone is strong at something—what’s your strength? Reach for that state of concentration and enjoyment known as “flow.” It’s easier to achieve than you think. Read Finding Flow by positive psychologist, Mihaly Csikszentmihalyi for more ways to reach the goal. The Pursuit of Happiness Project is dedicated to analyzing happiness and how to measure it. Bras For Little Girls Too?